Like you, I found myself smiling at the simplicity of this statement. Armstrong took one of the most complex missions of our time and brought it to simple terms via a clear message. As I work with senior executives within organizations, I find that many tend to create complexity in a world when simplicity is needed. Growing organizations need to be reminded of simplicity and need 3 actions to define their future to sustain a growing company: Clarity, Alignment, and a Plan. 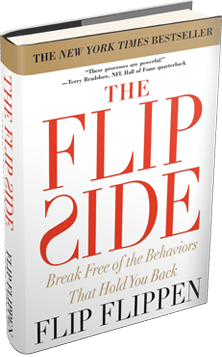 At the Flippen Group, we often work with individuals in aligning their behaviors with their stated goals. We introduce the concept of Organizational Alignment where a person’s individual goals become aligned and true to the organization’s goals or better stated, to link individual performance metrics to strategic goals. When the alignment increases, the right behaviors and core values are practiced and the culture grows. Strategic intentions will only be aligned with operations if a plan is developed and followed. We are not talking about a plan measured by pages and weight (we often see 6-inch binders called Strategic Plans collecting dust on shelves!). We are talking about a simplified map of activity that encourages appropriate behaviors to exceed established metrics. The plan should have an imbedded level of accountability that is widely known and recognized throughout the organization.